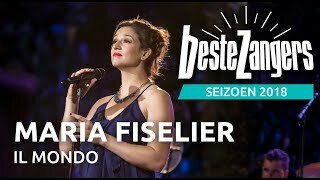 Dutch mezzo-soprano Maria Fiselier is considered one of Holland’s top emerging artists, praised for her “exceptionally warm, opulent voice, used with sensitivity”. Her most recent highlights include Emmy in Marschner´s Der Vampyr, at the Grand Théâtre de Genève and Magdalene in Wagner’s Die Meistersinger von Nürnberg, as well as Ottone in Moteverdi’s Die Krönung der Poppea, both role debuts at the Komische Oper Berlin. Maria is a member of the ensemble at the Komische Oper Berlin since 2016/2017 season, where she has been seen as Zweite Elfe in Rusalka,Mercedes in Bizet’s Carmen, Katze/Eichhörnchen in Ravel’s L’enfant et les sortileges and Sylvia/Proserpina in Monteverdi’s Orpheus among other roles. Her roles for the 17/18 season will include Orest in Offenbach’s Die Schöne Helena, Chava in a new Barrie Kosky production of Anatevka and Olga in Tchaikovsky’s Jewgeni Onegin. Other recent engagements include debuts at the Grand Théâtre de Genève as Oreste in Offenbach´s La Belle Hélène and at the Staatstheater am Gärtnerplatz as Dorabella in Mozart’s Cosi fan Tutte. Maria also sang the role of Zweite Magd in Strauss’ Daphne and Alto in Wolfgang Rihm’s Jakob Lenz, both at La Monnaie in Brussels, Delia in Rossini’s Il Viaggo a Reims at the Dutch National Opera, La Contessa di Ceprano in a concert version of Rigoletto,and Kate Pinkerton in Puccini’s Madama Butterfly, both at the Concertgebouw Amsterdam, a program with highlights of Carmen at the Miyazaki International Music Festival in Japan and Susie in Bernstein’s A quiet place in a production of Ensemble Modern at the Konzerthaus Berlin and the Dresdner Musikfestspiele. At Opera Holland Park in London she sang the roles of Suzuki in Madama Butterly and Serena in Wolf-Ferrari’s I Gioielli della Madonna. Maria has worked with conductors such as Kent Nagano, Mariss Janssons, Lothar Koenigs, Evelino Pidó and Anthony Hermus. 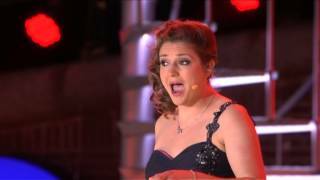 She was also under the direction of internationally renowned directors such as Stefan Herheim, Andrea Breth, Barrie Kosky and Damiano Michieletto. Her concert repertoire includes numerous oratorio’s such as Duruflé’s Requiem, Vivaldi’s Gloria, Rossini’s Petite Messe Solenelle, Verdi’s Requiem, Bach’s Matthew Passion, John’s passion, Magnificat and Christmas Oratorio. She has worked with several internationally renowned orchestra’s such as the Rotterdam Philharmonic Orchestra, Orchestra of the 18th Century and the Concertgebouw Orchestra. ‘s-Hertogenbosch, including the young talent award.